Crooks have stepped up their game from ATM overlays. The latest device being used to rip you off is called a deep insert skimmer. That's a skimmer that you can't see at all from outside the machine. It captures your card data and that information can be used to access your account or clone your card. Deep insert skimmers record card data and store it on an embedded flash drive, then transmit stolen card data wirelessly via infrared, like a TV remote control. The hidden camera has a dual function: to record PINs and to receive card data from the skimmer. 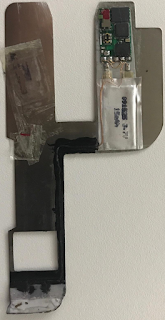 Crooks leave the insert skimmer embedded in the ATM’s card slot, and swap out the hidden camera when its battery is low. The skimmer turns itself on when reading a card, giving a long battery life. It's a rapidly growing crime. 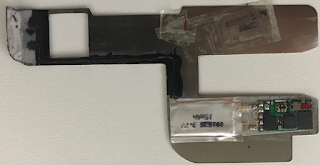 Last month the Oklahoma City metropolitan area experienced rash of ATM attacks involving deep insert skimmers. Two weeks ago a Romanian pleaded guilty to bank fraud and identity theft in Springfield, Massachusetts. Police say he was part of an organized group that inserted skimming devices in ATMs and stole more than $900,000 from bank customers in Massachusetts, New York and New Jersey. The man faces up to 30 years in federal prison. 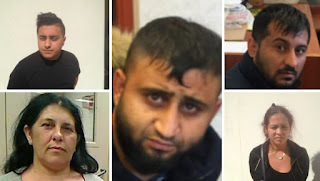 Another Romanian group was recently busted in the Philippines.